Troye Sivan Teases A Dramatic Music Video For New Single "My My My!" Troye Sivan is pulling out all the stops for the release of his new single, “My My My!” The hitmaker has kept social media abuzz since announcing the project via a mysterious Times Square billboard last week. Excitement reached a fever pitch with the announcement of the title, but the “Youth” crooner has taken things to the next level today (January 9) by teasing the accompanying music video. The visual is directed by Grant Singer, and it is set to drop alongside the single on January 10 at 9 PST. Shot in black and white and set to some evocative synths, the teaser features footage of the hitmaker serving dramatic looks in an abandoned warehouse. 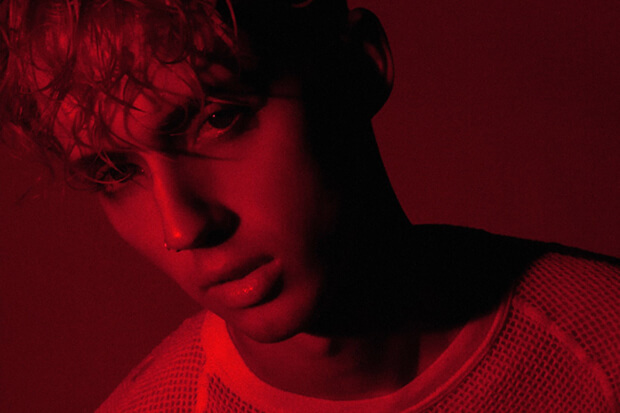 It is very in line with the shadowy cover art and seems to suggest Troye is heading in a more mature direction for his sophomore LP. He has come a long way since the release of Blue Neighbourhood in 2015, and we are looking forward to getting a first taste of what to expect this year. Needless to say, expectations are high for the project. Troye’s debut was lavished with praise (it was also nominated for Album Of The Year at the 2016 ARIAs) and charted around the globe. It debuted at number 7 on the Billboard 200, which is a massive achievement for a newcomer. In addition to new music, the 22-year-old is also appearing in the film adaptation of Garrard Conley’s Boy Erased, which stars Russell Crowe and Nicole Kidman. The LGBT coming of age story is due for release in September. Check out the teaser below! Are you excited for the song? Let us know below, or by hitting us up on Facebook and Twitter!